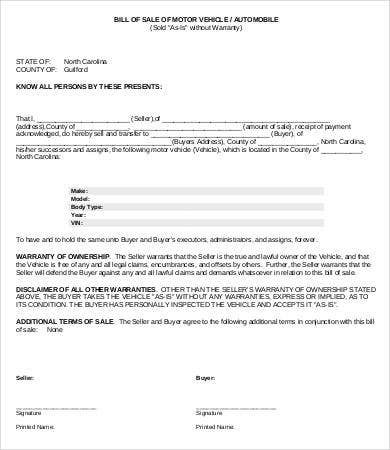 A bill of sale is a document or a certificate used to indicate a transfer of property or goods from one party to another. 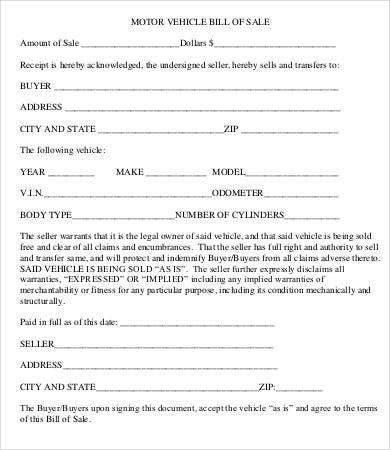 It can also serve as a legal evidence to show that a seller has transferred all the rights of the property to a buyer during their transaction. It is different from a receipt in its purpose because receipts are used to acknowledge that money was received from the payer for a product or a service. 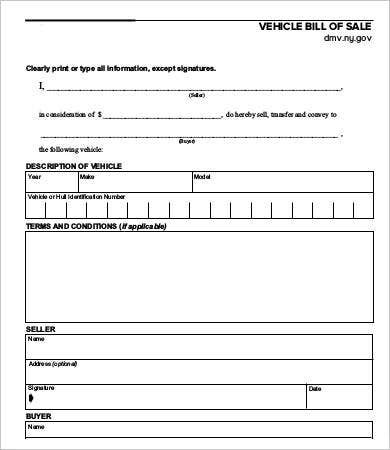 If you are planning to purchase a property, vehicle, or any valuable item, you may need to request for a bill of sale to prove that the ownership has been transferred to you. 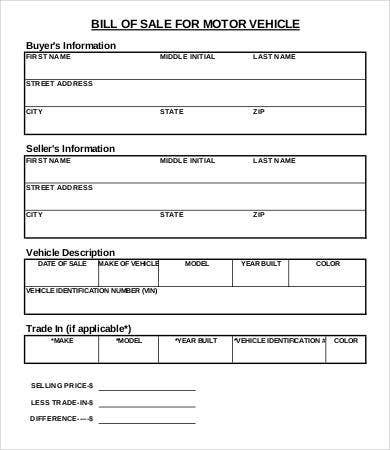 Our website contains a big collection of Bill Of Sale Templates suitable for any transactions made that requires a transfer of ownership. 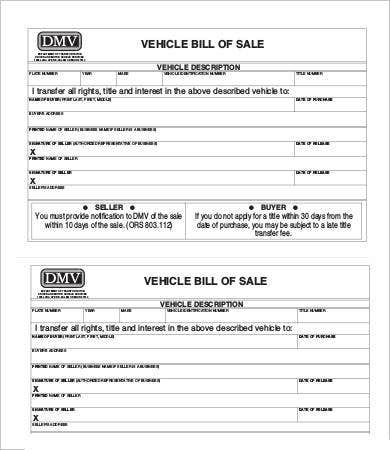 People commonly use a bill of sale when buying vehicles. And in our website, most of our bill of sale templates are for that purpose. Absolute bill of sale. 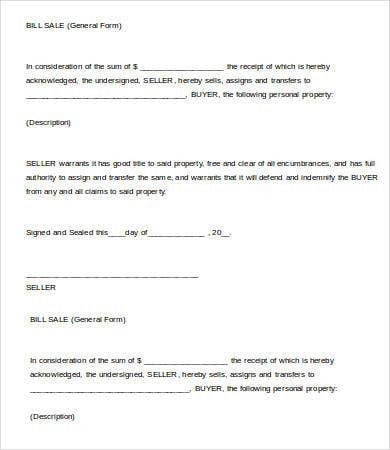 A bill of sale used when the property has been completely transferred including the rights from the seller to the buyer. 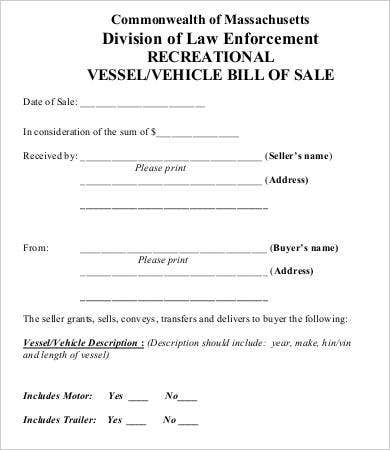 Conditional bill of sale. A bill of sale usually involved when goods or a property is borrowed. The borrower may have the property in its possession but not have complete ownership over it. The borrower may also need to meet conditions as specified by the lender, and failure to do so will lead the lender to repossess the property. What is the difference between a bill of sale and a receipt? What is the importance of bill of sale? A bill of sale assures both parties that an agreement has been met and a transaction took place. A bill of sale protects the buyer from fraudulent sellers. A bill of sale can also protect the seller from incidents that happen beyond his control after the ownership has been transferred. 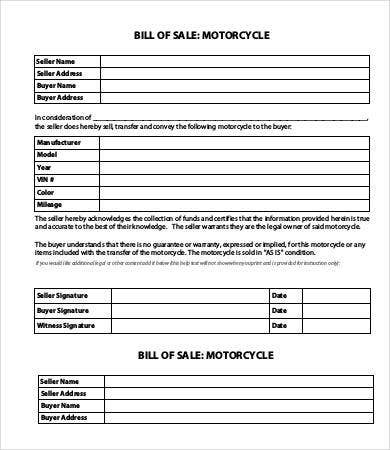 For more templates in bill of sale, you may want to check out General Bill of Sale and Equipment Bill of Sale. If you are looking for bill of right templates to aid you in your future transactions, you don’t need to look anywhere else because we already got you covered. These templates can be accessed easily by anyone with good Internet connections. These templates can be downloaded in Doc, Docx, and also in high-resolution PDF formats to assure you of clear and legible prints. 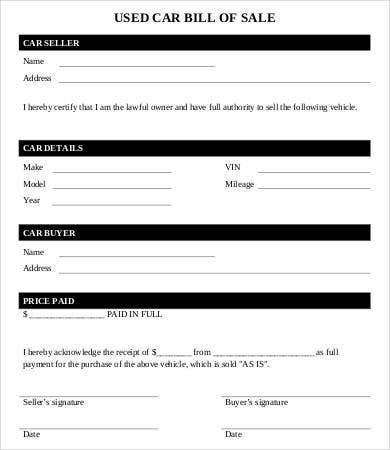 We have saved you all the hassle in making your own bill of sale with our templates, which are fully customizable. All you need to do after downloading your chosen template is make the necessary changes that suit your demands, and you are good to go. 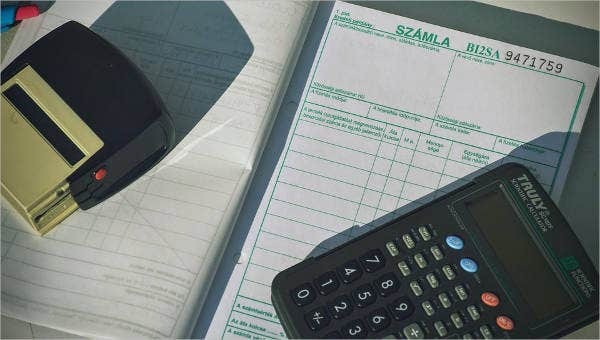 You may also want to check out our collection of Business Bill of Sale. But if you couldn’t find what you were looking for on this page, scroll down to the bottom of this page and check out the links to other related content from our website.